I'm trying to figure out if Lexington Law will be worth it for my sort of situation or should I just keep continuing doing it on my own. My credit utilization is at 0% out of the 6 Credit Cards I have but I plan on doing the AZEO method to see how that'll perform. On Experian, Equifax and Transunion I have a couple negatives on there that are pretty old. I have one falling off next month so those numbers will drop by 1. Will the regular tier of $90/month for Lexington Law be the route I should go or should I just continue disputing? My goal is to get a better interest rate on a car loan within the next couple months but first want these baddies removed. Big fat NO! You kinda answered your own question. Do it on your own. List the negatives here and we'll help you for free. Put that $90 a month in a savings account. Thanks for the swift reply! And thank god. Lol. I was really hoping I could use the $90 toward something else as well but here are my negatives. Majority of these were accumulated when I was young & dumb at 21/22 years old and misguided about how important credit was. I'm now much older and want a complete 180 on my life. I didn't hire Lexington Law but I did Hire SkyBlue and used them for a month they removed a few things rather quick (within a month) and the ones that stuck on the next month I then suspended my account with them and did a PFD on the 2 remaining which worked on BOTH They were Hospital bills (and legit I just didn't have the funds at the time and honestly forgot about them) so I can only speak on that but I just called the current owner not the OC and asked for an email that when I paid in full they would delete it off all 3 CB within X amount of days and then asked for their name and direct number. I also asked while I was on the phoen with them how long would I receive the email and he estimated about 30 minutes (which it came sooner) I did it with one (the smaller amount) to see if it would work first and then did the same for the other both were removed off all my CR within a month's time! If you feel like they weren't legit then I definitely wouldn't PIF. Ok here goes. Please list amounts and DoFD. You can quote this post and fill in the amounts and dates. Texas Med Clinic/Account Services (I have no idea why this is on here,) If its not yours dispute it unless you were a Patient. 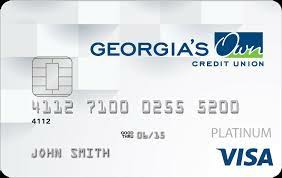 Progression/Credit Collection Services (again no idea why this one is on here as well,) Original Company? If its not your dispute it. I disputed a hospital bill and a loan I had from ACE Cash Express from 2013 and once I disputed it Transunion just closed them but never removed it. Meaning by closed it? 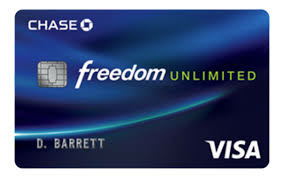 Navy FCU credit card thats falling off in September 2019 Charge off/paid or not? Texas Med Clinic: $171 / DOFD: 9/11/2013 this was removed off Experian when I disputed but Transunion is being a pain with it. 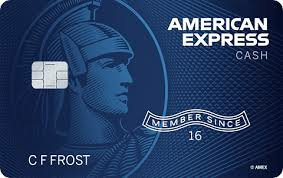 Ace Cash Express: $350 / DOFD: 1/2018 but it's showing up on report as if I opened it on 12/21/2017 for some odd reason. I even have proof on an e-mail of them saying it's going into collections as of 1/31/2013. 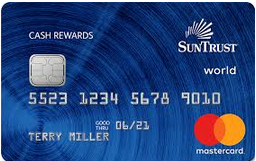 This is another one that doesnt show up my Credit Karma Derogatory Marks but shows closed only on Transunion. Progressive: $105 / DOFD: 10-1-2015 Experian removed it once I commented about once my 6 month term ended I switched to Geico and was never told about a remaining balance. Timecorp: $895 / DOFD: 6/2017. I had issues with these people, I called several times telling them I can't afford to pay this item anymore and would love to send it back. They refused to accept it and I was fighting this for 4-5 months to return the product and they kept refusing to accept it.